The new Driving America exhibit opens to the public on Sunday. 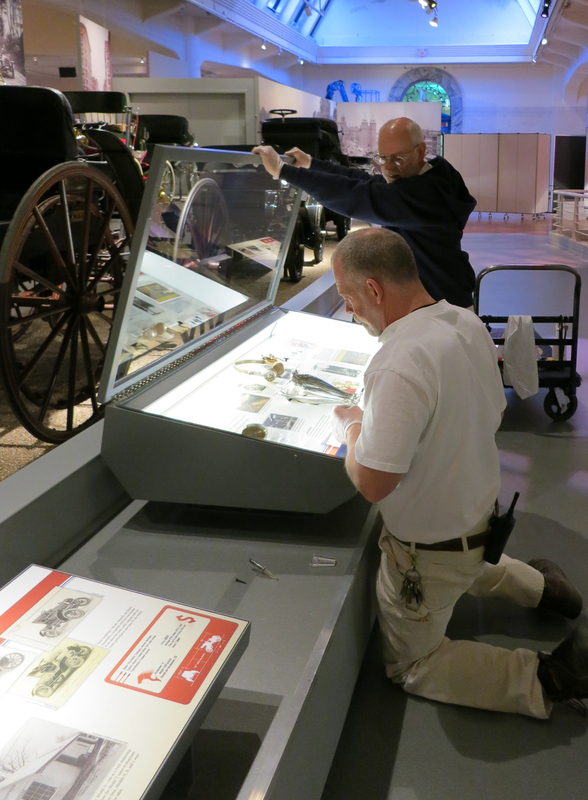 I worked with the staff of The Henry Ford, exhibit designer Kevin Patten (Creative Flow Studio), and interactive and film producer Cortina Productions for the last year and a half to help make this happen. It’s getting some good press! Check this out. Tony is off in Portugal doing something for Car and Driver, so I’m taking my brother to the opening party on Saturday. I’ll post some photos. My friends Kent and Greg put the finishing touches on a case along the timeline.